~Hours of fun! 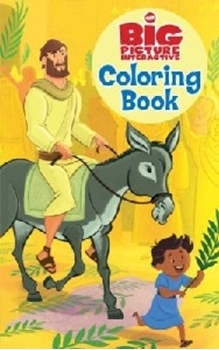 Filled with more than 30 biblically based coloring pages, this book will introduce your children to Noah's ark; David's fight with Goliath; Jesus' birth, crucifixion, resurrection, and ascension; and more. And the compact size makes it the perfect way to keep children entertained during church, travel, or events. Ages 4 to 8.